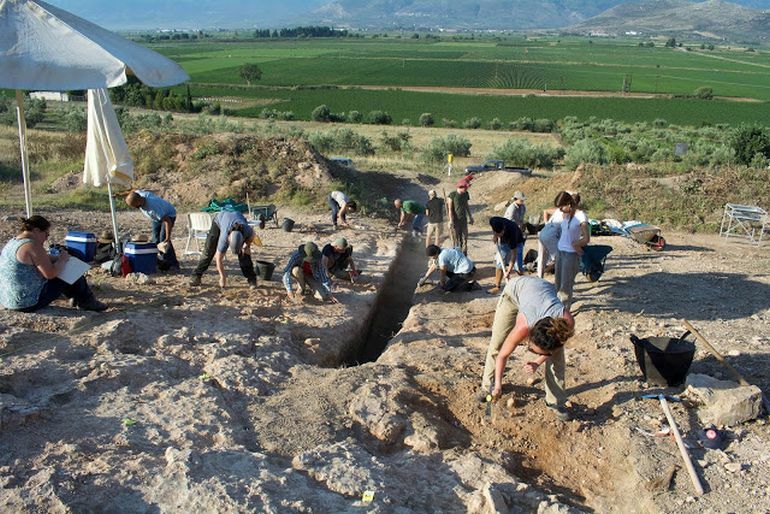 A Mycenaean tomb in Boeotia, given the moniker of Prosilio tomb 2, has been heralded as one of the largest of its kind by archaeologists from the Greek Ministry of Culture and the British School at Athens/University of Cambridge. 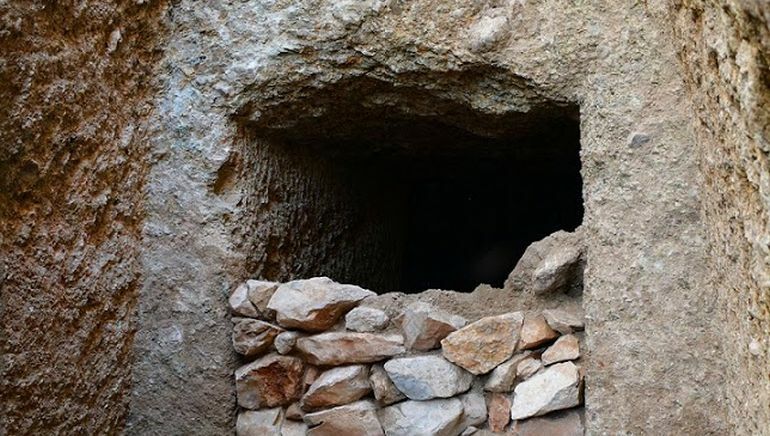 Typical of many Mycenaean tombs dating back to the 14th century BC, the monumental scope, in this case, translates to a rock-cut passage (dromos) that accounts for a whopping 66 ft (20 m) in length. This passage leads to an 18-ft deep facade, which in turn provides access to the main burial chamber through a doorway (stomion). 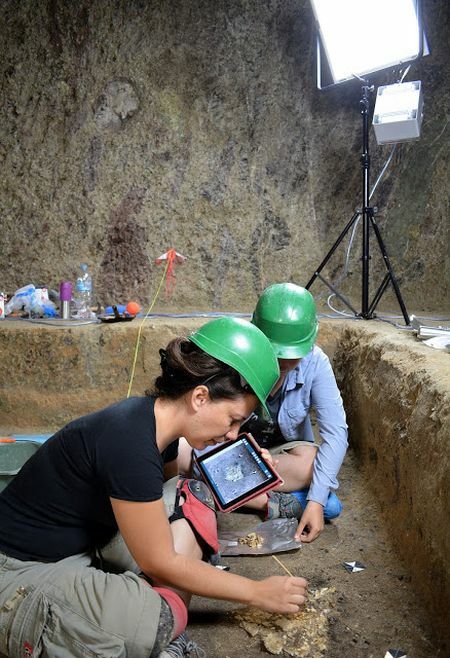 The main burial chamber boasts an area of 452 sq ft, which makes it the 9th largest out of around 4,000 Mycenaean tombs discovered in Greece over the period of last 150 years. The facade of the monumental chamber tomb 2 at Prosilio. Interestingly enough, the chamber’s roof originally exhibited a gabled system with a height of around 11.5 ft. But over the years (possibly from the Mycenaean period itself) it started to crumble and collapse, and this, in turn, led to a cavernous space with an increased height of over 21 ft. And while the collapsing of the original roof did play its part in ‘hiding’ many of the burial objects, it also helped in rather sealing and preserving the contents of the tomb. 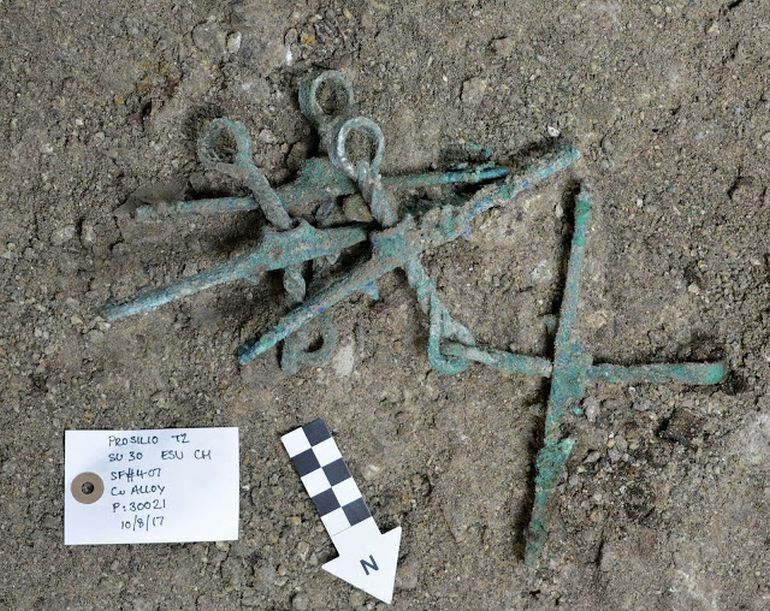 Now beyond just its size, the Prosilio tomb 2, has yielded what the archaeologists lauded as “one of the best-documented assemblages of a Mycenaean palatial individual burial on mainland Greece.” Simply put, the discovery of a single burial is very rare when it comes to massive Mycenaean tombs. This will allow the researchers to better comprehend the significance of the burial objects that are related to the deceased individual. 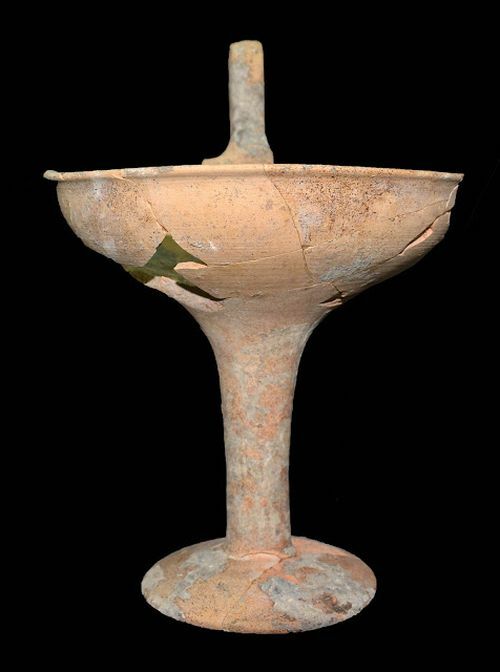 It is also worth noting that, with the exception of two painted stirrup jars, commonly used to store aromatic oils, no painted pottery was discovered in the tomb – a feature which is otherwise widely attested in tombs of this period. The power of this center is reflected in its most famous monument, the tholos tomb of ‘Minyas’, first excavated by Heinrich Schliemann in the 19th century, and comparable only in size and refinement to the tholos tomb of ‘Atreus’ at Mycenae. 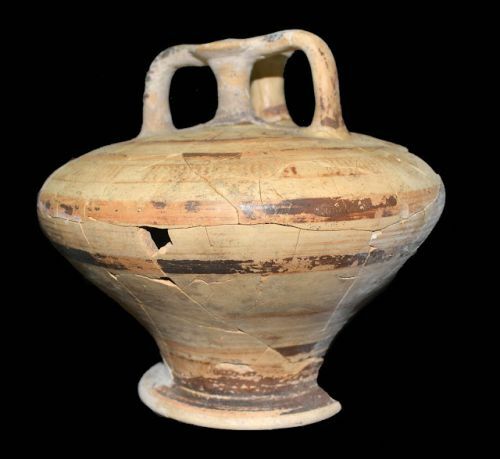 Finds from earlier excavations at Orchomenos also attest to its power in Mycenaean times. The dead man from tomb 2 at Prosilio was most likely associated with the upper echelons of society at this major Mycenaean center.